There is more to Hastings then the promenade. With its amazing views, its wealth of history, with its castle, coast, cliffs, coves and woodlands, its tales of intrigue and smuggling, it is a great place to walk. 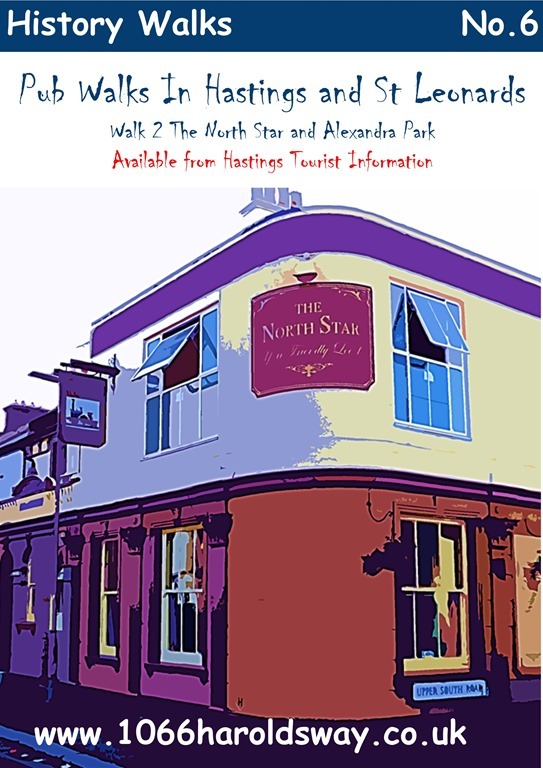 The North Star and Alexandra Park, Hastings. Probably one of the best parks in the country. 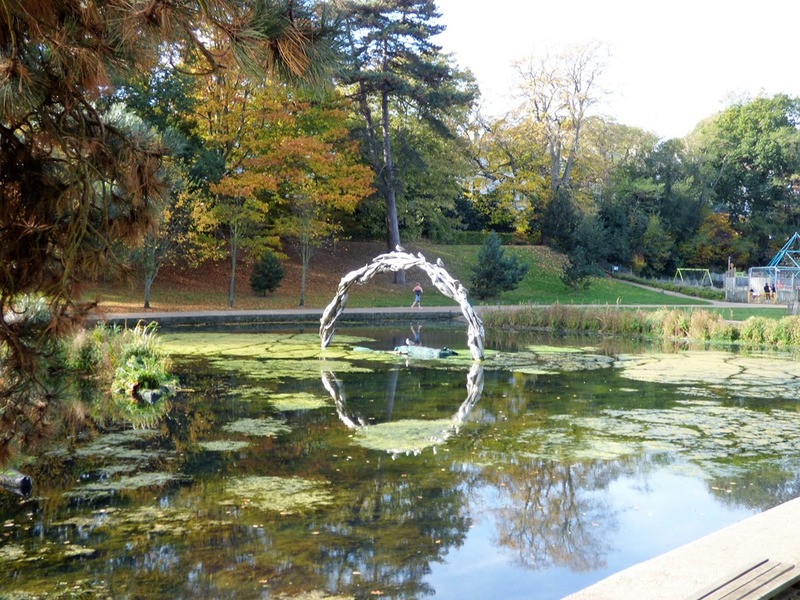 Venture beyond the wide-open spaces of children running and playing and mums and dads trying to keep up. Cross the road into the beginnings of winding paths and streams that weave between the trees. A miniature railway has occasional outings to the whoops and shouts of its passengers. Gentle climbs lead you beyond a fishing lake into the beginnings of a steep valley with unmade paths that follow the stream to Old Roar Ghyll – imagining and exploring. There are ferns and overhanging trees, the sound of the water rushing through gullies and a feel of mystery, emphasised by a darkness even in high summer. Back the same way to walk to the other side of that fishing lake and a track carpeted with leaves. 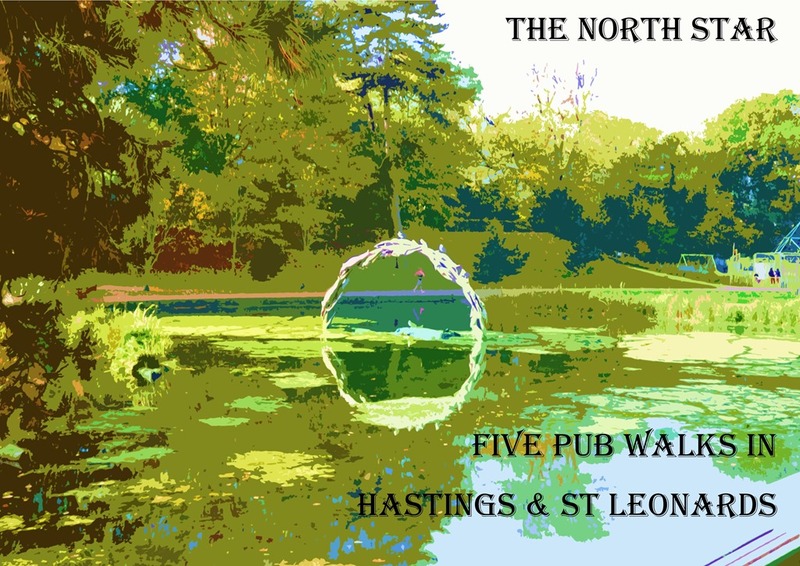 It leads to more black pools surrounded by dark trees and the path climbs but the steepest hill is left to the last to ensure your thirst for a pint at The North Star that is just around the corner. The North Star is a treat too. A proper pub with little of the 21st century. It was most likely named after the famous railway locomotive built by George Stephenson for the Great Western Railway. At one point, the locomotive was shipped to New Orleans, intended for the New Orleans Railway but the money could not be found to pay for it and it was duly returned. But why The North Star when it was so far from the station? Maybe the link is Joseph Wisden, a former guard on the London, Brighton and South Coast Railway, who built the pub in the late 1860s with steam still running through his veins. The beer is good too!